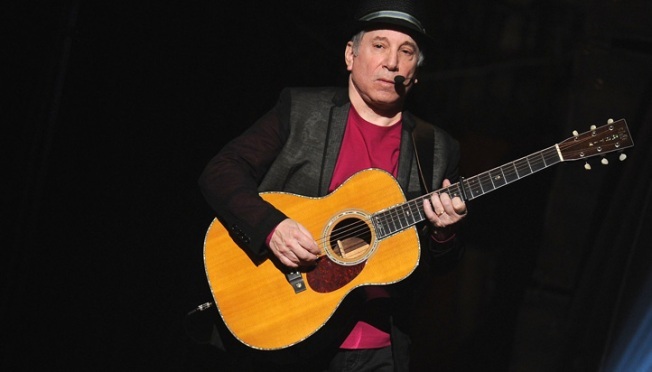 Still crazy for New York, Paul Simon has announced two shows at the Beacon Theatre on the Upper West Side. He’ll pound those opulent floorboards on May 10 and 11 in support of his upcoming album, So Beautiful or So What, his first album in five years. Tickets for the Beacon Theatre shows go one sale Friday, March 18 at 9 a.m. So Beautiful or So What lands in stores on April 12. The tour should be a more sprawling affair than past sets, if his large backing ensemble is any indication. Live Nation lists Simon’s band as Cameroonian guitarist Vincent Nguini, drummer Jim Oblon, pianist Mick Rossi, saxophonist/keyboardist Andrew Snitzer, bassist Bakithi Kumalo, guitarist Mark Stewart, master percussionist Jamey Haddad and multi-instrumentalist Tony Cedras. While in town, perhaps Simon will make the 40-block trek to his old Columbia University stomping grounds. He is, after all, a man of the college crowd, with a resurgence of interest in his Graceland-era world pop stemming from the Vampire Weekend set. He can be poked and everything.